August 18th 2018 marked the 406th anniversary of the Pendle witch trials at Lancaster Castle in 1612. It is an anniversary which always causes me to pause, and one which I never forget. 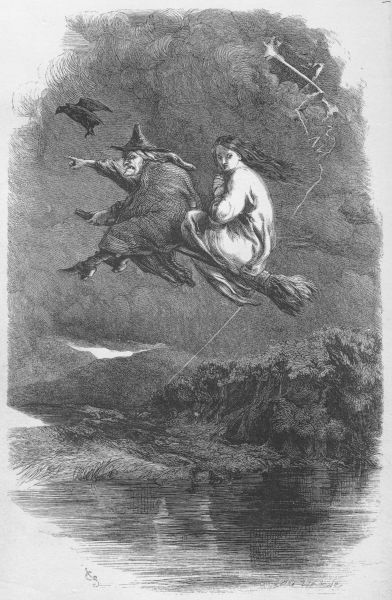 Growing up in Lancashire, I was captivated from a young age by tales of the Pendle witches. For a child there is, after all, something irresistibly and gruesomely fascinating about the likes of Old Demdike and Chattox doing their worst with magical misdeeds before meeting their own horrible fate. As I got older my interest developed into something altogether more academic, with a dissertation on the subject for my undergraduate degree at Lancaster University and, of course, several works of historical fiction since then! Over the years, the Pendle witches have been a big part of my intellectual and creative life. Although perhaps not as widely known internationally as other later trials, notably those which occurred in Salem in 1692/3, there is no doubt in my mind that across the breadth of English history the 1612 trials have grown in stature and notoriety over the years. I don’t think it is an overstatement to say that 1612 has become the stuff of legend, or that it contributes enormously to the cultural and artistic life of the north of England, and of course to tourism and the economy. This activity and interest in the trials reached fever pitch in 2012 for the fourth centenary, with commemorative activities, events, sculptures and new works of literature and scholarship on the subject, and such activities have continued ever since; for example, this year there was a family weekend of events at Lancaster Castle. What is less well-known, however, is that a second round of witch trials occurred in Pendle in 1634. In late 1633, a boy named Edmund Robinson gained local fame and notoriety as a witch-finder. It seems that upon returning home later than expected one day in early November, he told his father a tale; a story of his abduction by witches, of women turning into animals and of a great, unholy Sabbath. The story quickly spread around the local area and the boy became something of a celebrity. Edmund’s father, perhaps sensing there was fame and fortune to be found in such a reputation, began charging people to see his son’s ‘performances’ and taking him on a tour of the local churches. It was only a matter of time, of course, before a story of this magnitude reached the local Justices of the Peace and in February 1634, young Edmund finally told the story to the authorities. As part of his deposition, Edmund gave a considerable list of local people who he claimed had been involved in his fantastical tale. One of the names which appeared on Edmund’s list was that of Jennet Device. We don’t know for certain, of course, if this Jennet Device was the same Jennet who had been the star witness of the 1612 trials; however, to imagine that it might have been is truly the stuff of stories. My second Witches of Pendle novel, A Woman Named Sellers, is a story woven on the supposition that it was the same Jennet, that in 1634 events in Pendle came full circle, that the witness became the accused. As in 1612 the accused, including Jennet, were found guilty at the Lancaster Assizes. However, in a move which signaled how times were beginning to change, the judges deferred sentencing to seek further advice from the authorities in London. The Privy Council duly dispatched the Bishop of Chester to undertake a further investigation into the case. They also requested a number of the accused be sent to London for further examination. Four women were sent on the long journey south, where they were subjected to a physical examination by the king’s physician, further questioning, and an interview with King Charles I himself. We can only imagine how utterly terrifying and bewildering that experience must have been. The Privy Council’s intervention led to the 1634 case falling apart, with the authorities ultimately finding that the story was a fabrication exploited for financial gain and ordering the arrest and imprisonment of Edmund Robinson’s father as a result. The accused were all acquitted, allegedly pardoned by their monarch, and their four representatives were sent home to Lancashire. However, the ending of the story is not a happy one: despite the acquittal many remained in prison, probably as a result of being unable to pay the debts they had accrued after so many months of being unjustly detained at His Majesty’s pleasure. The tragedy of the 1634 case is that whilst the changing attitudes of the London authorities were able to prevent this tale ending at the gallows, the accused were nonetheless undone by poverty and powerlessness, by being at the bottom of the social heap and by being without the means to free themselves from a justice system which was always stacked against them. It may be less well-known that its 1612 counterpart, but in many ways the story of the 1634 trials is no less poignant. I hope that when the fourth centenary comes around in sixteen years’ time, the other Pendle witch trials will be given the recognition they deserve. More information about my second Witches of Pendle novel, A Woman Named Sellers, which focuses on the 1634 trials, can be found here.